New advances in digital control systems are paving the way for smart cities. 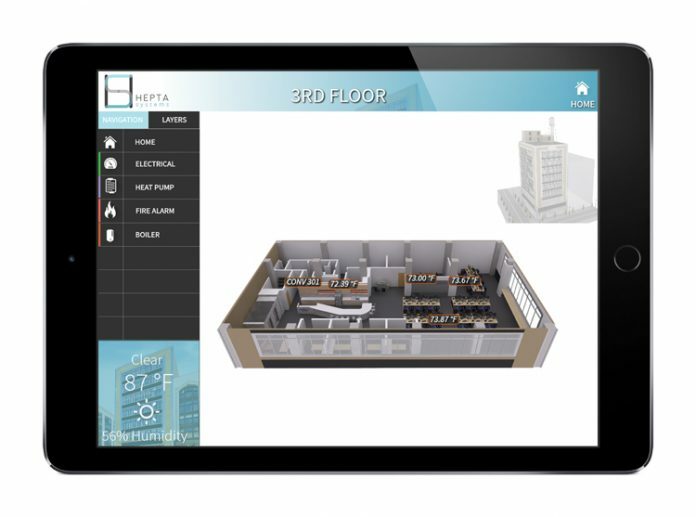 Smart buildings, where property managers can access, monitor, and adjust mechanical systems using a smartphone or a tablet, are taking another technological leap. By wiring multiple structures, business and civic leaders can create smart cities. >> get smart Hepta Control Systems in Detroit is connecting multiple buildings via common sensors to save on energy and boost efficiency. Taking it further, Houck says the technology the company is beginning to install can determine the source of power a building is drawing from, whether it’s coal, natural gas, wind, solar, or nuclear. With the added intelligence, Hepta plans to offer its clients the ability to generate carbon credits that can be sold to commercial and individual customers at a profit. Other new offerings in building automation include the ability to remotely control door locks and lights, complemented by video cameras, so a property manager could virtually show a prospect available office or retail space without physically being on-site. “You can even talk to the prospect while they’re taking the tour,” says Etrit Demaj, Hepta’s COO. With clients that include Bedrock Real Estate Services, Wayne State University, and the College for Creative Studies, among others, Houck and Demaj say the concept of a smart city is starting to take shape. Bedrock, an affiliate of Quicken Loans Inc., owns more than 70 buildings in Detroit’s central business district. While new mechanical systems — heating and cooling equipment, generators, and ventilators — come equipped with smart technology features, Hepta can add sensors to older equipment from companies including GE, Siemens, Johnson Controls, or Honeywell. Hepta got its start in 1993 when Houck’s father, Ted, and a friend, launched a mechanical refrigeration business. When his partner passed away, Ted, CEO of Hepta Control Systems, sold the company to pay off his partner’s family. From there, he began to focus on building control systems.